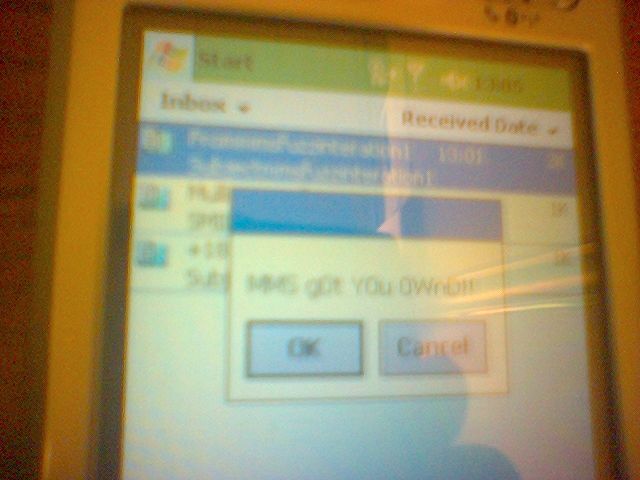 For our work on SMS security we also looked at Windows Mobile. The slides, papers, and tools for it are available on my SMS security research page. According to HTC the format string vulnerability in TouchFLO (Manila2D.exe) is fixed in the ROM Build 1.00.19153530.00 for the HTC Touch 3G. 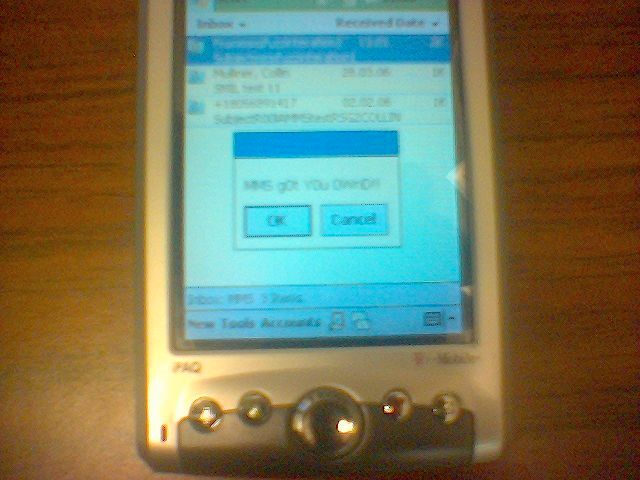 Here are the slides for my SyScan PocketPC MMS-attack talk. Basically the same as before, I just added some slides about WinCE 5.x and self defense. Here is just some stuff I used for my talk Exploiting PocketPC at What The Hack! in July 2005.
is just a tiny helper to dump function addresses to create jump or import tables. 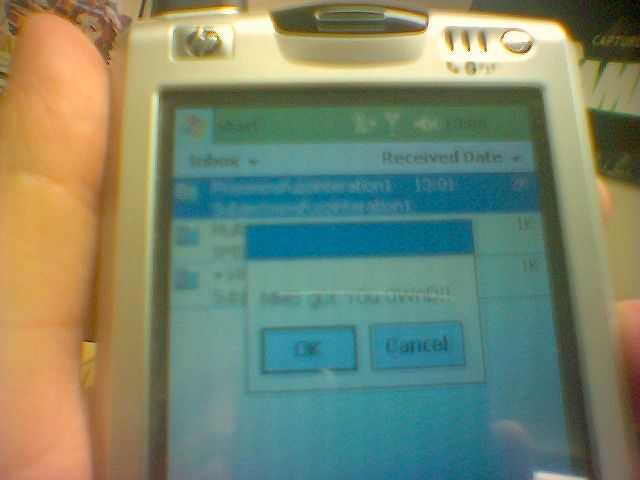 The executable file together with the config file (GetFuncAddr.in) needs to be placed in the / (root) directory of the PocketPC device. Just run it and press OK on the popup window. If you don't get an error you now have GetFuncAddr.out in the root directory. Seth Fogie kindly provided me with the dump from his Cingular 8125 (Axim hardware) Cingular/Axim 8125 (this is WinCE 5.1) the function addresses are the same for the Axim x50v and newer x51v. Seth also provided an input file for GetFuncAddr with all functions exported by coredll.dll coredll.